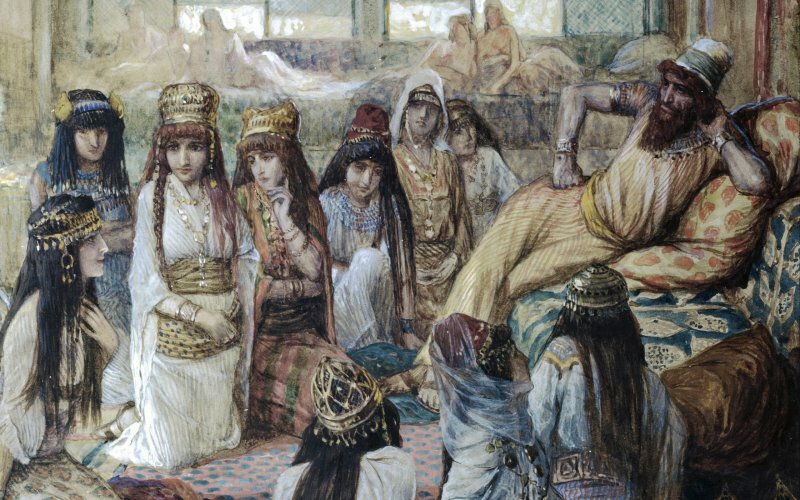 Does the Bible Condone Polygamy? Entertainer and Atheist Penn Jillette claims that nothing will make you an atheist faster than reading the Bible. I have read through the entire Bible cover to cover multiple times, and my faith has grown through the experience. How can this be? Rationally thinking adults reading through the same book and coming to drastically different conclusions? We certainly both have our own biases, and those play an important role. But I want to challenge one of the misunderstandings that those outside the faith often have about the Bible. It does not condone polygamy. First of all, the Bible makes it clear that the pattern for marriage is a union between one man and one woman. I would also suggest that a man can only experience the true union of two into one in a marriage to one and only one woman. Thus the requirement that an overseer be the “husband of one wife” (literally: a one woman man) in 1 Timothy 3:2. God tolerated polygamy, but He was also very strait forward in his recording of its terrible results. In Genesis 30, tension between sister-wives Rachel and Leah reaches the boiling point over an argument about some mandrakes that turns into an argument about who gets to sleep with their husband. Centuries later, Solomon’s many wives turn him away from God and an entire family dynasty is brought to a screeching halt. At every turn in fact, polygamy is causing rivalry and distress among participants. If God supported polygamy, you would think His book would hold it up as beautiful, not portray it as a train wreck. So when those like Penn Jillette read through the Bible, they see that God condones polygamy. When I read through the Bible, I see His beautiful plan for one man and one woman, as well as the freedom that He gives His people to deviate from that plan, and the painful results that follow. What implications could this principle have for us today? For those determined to undermine the Bible, it is a reminder to read with an open mind instead of a hidden agenda. For those who put their faith in the Bible, it is a reminder that a voice may not come out of the clouds and rebuke all of Christendom anytime someone deviates from God’s original plan. It is not enough to assume that our lives are in line with His will simply because He has not spoken to us from a cloud. We must go back to His patterns and invest in understanding the theology of the Word.